I’ve been fostering cats since April 2015. I absolutely love it. Helping an animal that has no where else to go makes your heart more full than you can imagine. If you have the ability to do it, do it. The Humane Society provides everything–food, litter, bedding, and vet. appointments. The only thing that you have to provide is your love, and trust me, they need it. I fostered one cat that was very sickly. She had been in the pet store locked up in a cage, and she got depressed. No one wanted her because she was older and sickly. She stopped eating. When I took her in, I had to give her medicine three times every day. Little by little, she started getting better. Eventually, she got a little plump, and she would prance around. You could tell that she was happy. Eventually, we found her a loving home with someone who found out she couldn’t have children. I am so lucky that I found the foster program. It filled me to the brim with joy. However, ,the last foster kitten I had was different. He was only four weeks old, and he got separated from his mother. He was covered in fleas, and he could have died the night I got him. I started feeding him little by little, and he started to grow big and strong. He was a very rambunctious kitten. I started to train him with the leash, and he would walk outside with me. He went with us to play tennis, and he would chase the balls. Then, I put him in the basket on my bike. He loved to ride around. He was very curious about everything. My other cat loved him, and they would play together. After 3 months of having him, the humane society wanted to adopt him out. I took him back because I had to. I cried for days, and I felt depressed.I know some people will say, “He’s just a cat!” But, he meant so much to me. Later on, I found a kitten that needed a home. He is half-Siamese, and sleeping on me right now. He is mine! I don’t know if I will foster any more. Or, maybe I will just foster older cats. Either way, I would encourage anyone to foster! But, make sure that you don’t get too attached. It can be heart-breaking. 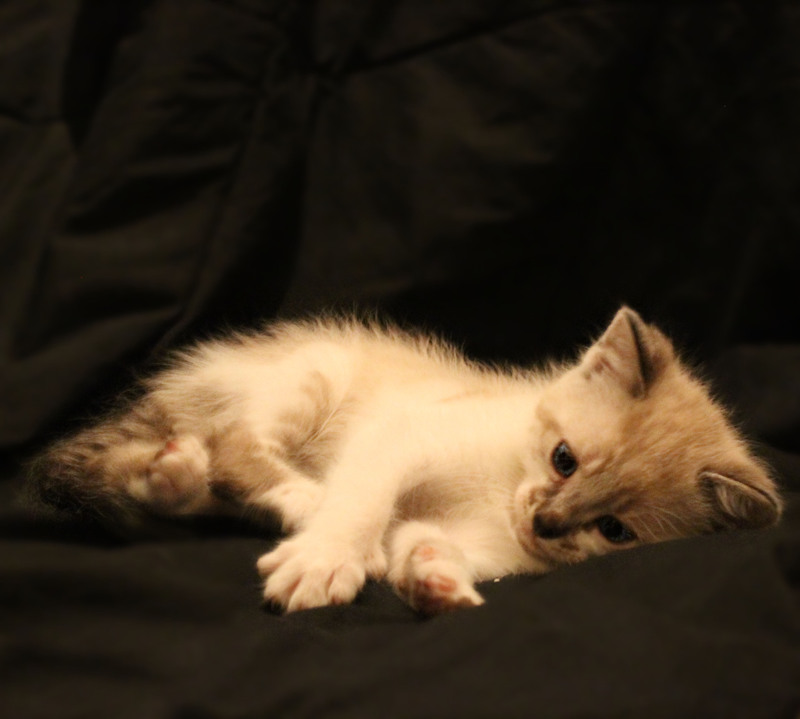 Here are some pictures of the new kitten. 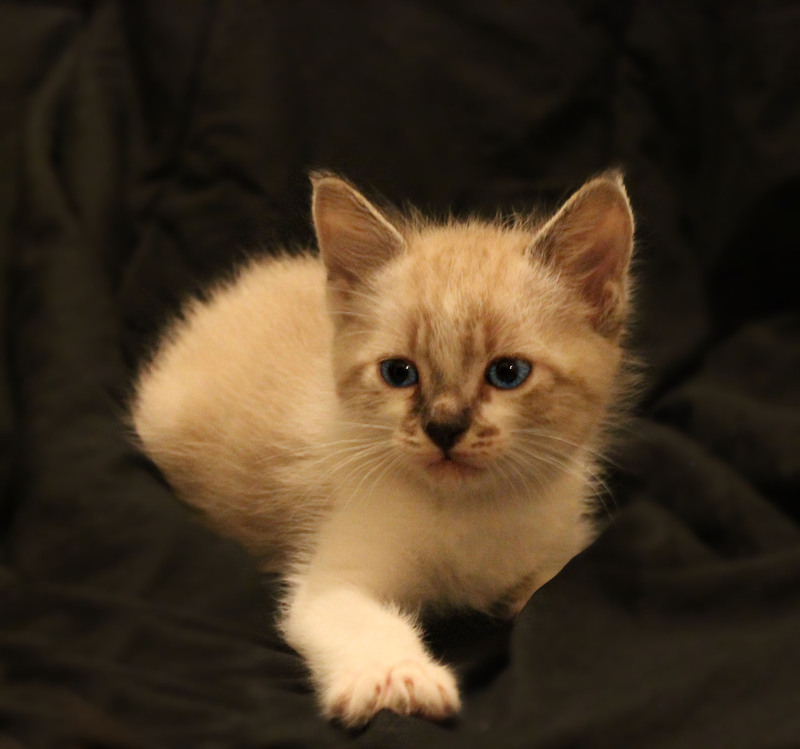 *He is only about 6 weeks old* He has the bluest eyes, and luckily, they will stay that way. Do any of you foster? Has it been tough? Also, PLEASE help me think of a name for him.